I bought a olympus e-500 camera with 14-45mm lens and 40-150mm lens in 2000. The camera has served me well, however I think it is about time that I look at upgrading to a newer SLR. So I’m asking for recommendations, obviously I’m not in the market for a pro camera as my budget wont allow it. So I’m looking at a entry to mid range Digital SLR. A lot depends on your budget – and of course what kind of stuff you like to shoot. Which brands are you considering? What is your intended use? Budget? 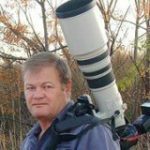 Mid range – Canon 77D and 80D are very useful and will last you a long time again. Brands other than Canon or Nikon are not as frequently found not have the same range of accessories. But if you want to stay with Olympus, the OM D m10 is a nice mirror less offering at around 14000, but I doubt it will fit your lenses, you will have to look at a whole new kit, probably. Budget +- 10k will look at options slightly higher price than that. Brands: Not a issue. I understand that my current lenses will not work on other makes. I went through this same exercise at the end of last year. I’m more interested in wildlife photography, so the choices I made were with that in mind. I must warn you though, I blew my budget by about twice the amount that I initially bargained for, however I’m very happy with the kit. What I ended up doing was getting a mid-range SLR (Canon 77D) and a good zoom lens (Sigma 150-600 C). I still have an 18-55 Kit Lens, as well as a Nifty Fifty should the need arise. I decided on the 77D because of the fairly good low-light, the FPS, the Dual-Pixel Autofocus, the top LCD, and the Digic-7 Image Processor. These ticked the boxes for me, and at just a smidge over R10k, it was a good body for the money. A good alternative to the Sigma 150-600mm lens would be something along the lines of a Tamron 18-400mm which is a decent all-round lens with good reach at 400mm, and good wide-angle at 18mm. I’m very happy with my Sigma though, because of the reach it affords, especially with bird photography. I also got a 1.4x extender with the lens, however I haven’t used it yet, because there’s a slight drop in image quality with the extender (not a lot, but it’s there), as well as autofocus being a lot slower with the 1.4x extender attached. It might be worthwhile to check out the Canon 77D, or its baby brother the 200D (which is more entry level, but packs a lot of punch for such a small camera), as well as the Tamron 18-400mm lens. That will set you back between R15400 – R18700 for both camera body and Tamron lens, but you won’t need to upgrade for quite some time. If your budget allows it, check out the longer lenses like the Sigma 150-600C. There will most likely be others that disagree with this advice, so I suggest that you do your research before buying anything. I watched a lot of YouTube reviews on the various bodies and lenses until I came to my decision.